ACT exposes the cruelty of cage bird traps such as Larsen traps and Multi-traps which use a live wild bird to trap magpies, rooks and crows but also can be misused by gamekeepers to catch Raptors - birds of prey. Most of the anti-magpie and anti-raptor propaganda originates from pseudo-conservationists with links to the game bird shooting industry such as the Songbird Survival Trust. A corvid, usually a crow or magpie is held captive in a small cage, which attracts other corvids who are then killed. The bird's most vital instincts are denied, and neglect is rife. No one knows where the traps are and The Animal Welfare Act cannot be enforced. Although banned in their country of origin because they are viewed as inhumane, Larsen traps are still legal in the UK. 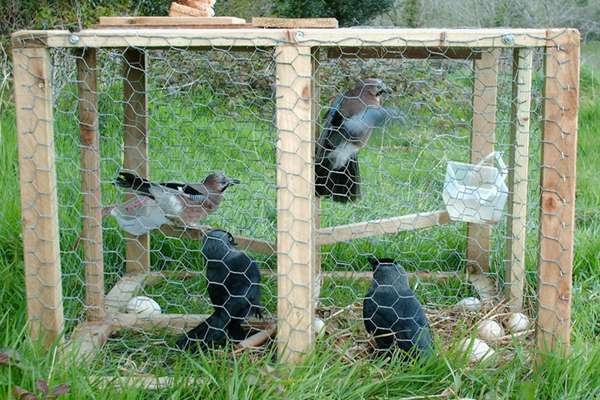 It uses a live wild “decoy bird” to attract and trap crows, magpies, jays, jackdaws and rooks. The decoy bird suffers a most terrible existence. Close to the ground it is terrorised by predators, these intelligent birds see its fellow birds brutally killed in front of it. A number end up being found dead through neglect. Mostly used by gamekeepers. Multi traps, often called crow traps. These also come in the shape of Ladder traps and Cone or lobster pot traps. These traps are almost always used by gamekeepers to catch and kill crows but will often catch Raptors (birds of prey). Gamekeepers have historically been hostile to Raptors, and inevitably many of the trapped birds are killed. 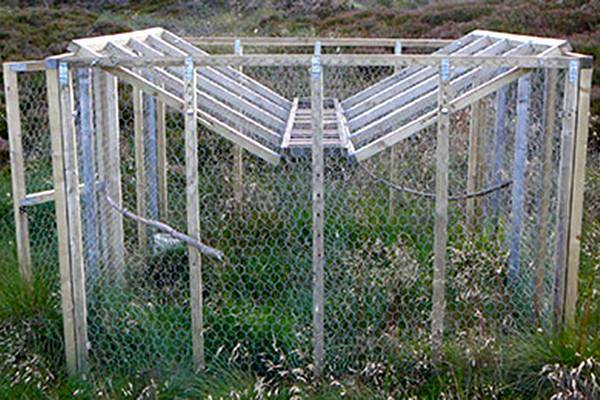 An example being in 2005 when two gamekeepers were convicted of killing a buzzard they found in their crow multi-trap.